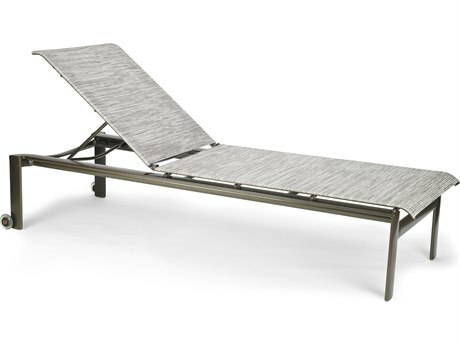 An outdoor furniture staple for decades, aluminum patio furniture is very versatile and is available in a wide array of styles. 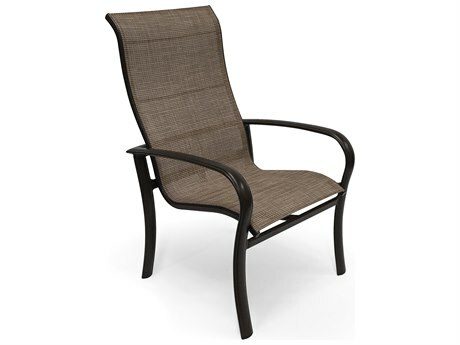 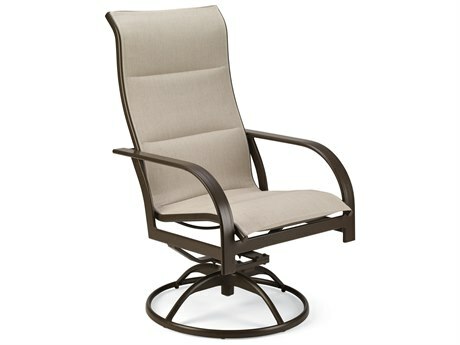 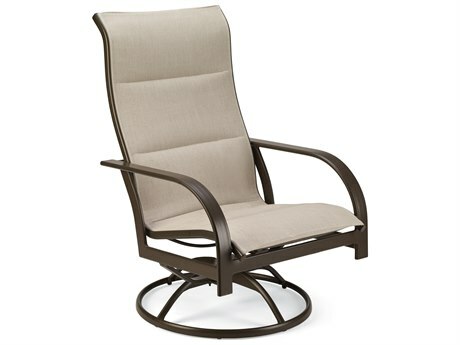 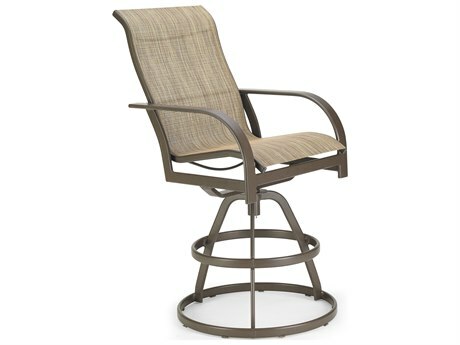 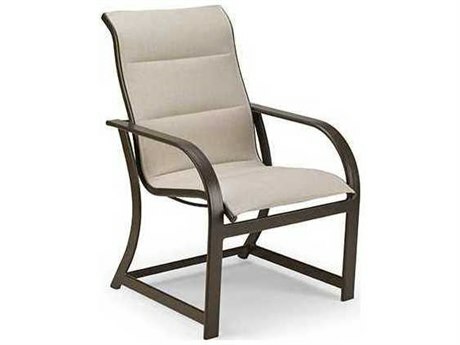 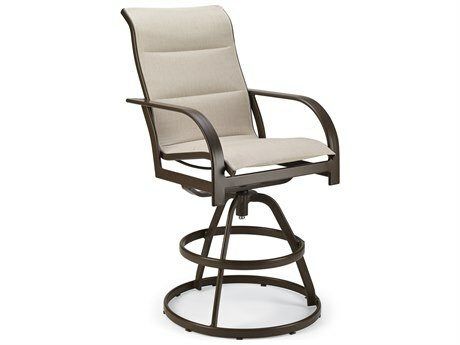 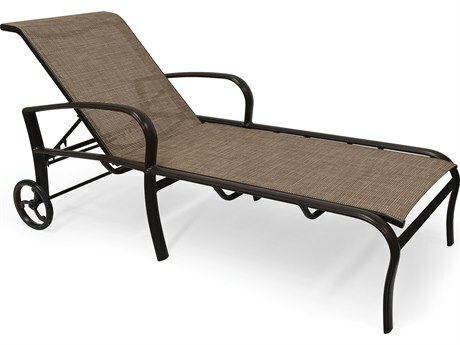 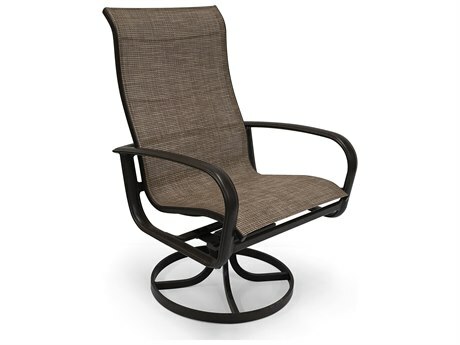 Also called hollow or tubular aluminum, this style of patio furniture has different benefits than its counterpart, cast aluminum, even though they are from the same family. 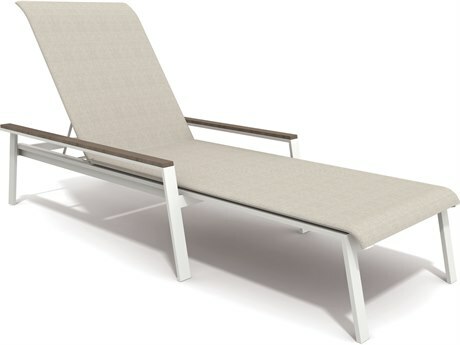 Aluminum outdoor furniture is very light weight in nature, allowing even the largest pieces to be moved and rearranged by one person with little to no effort. 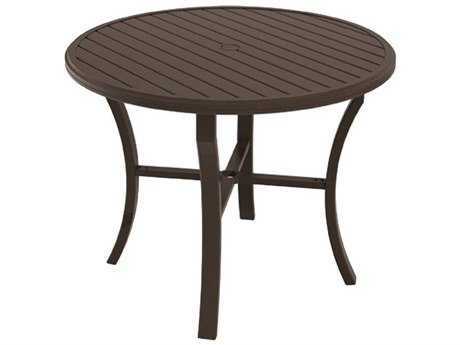 An aluminum patio set is very durable and requires very minimal maintenance. 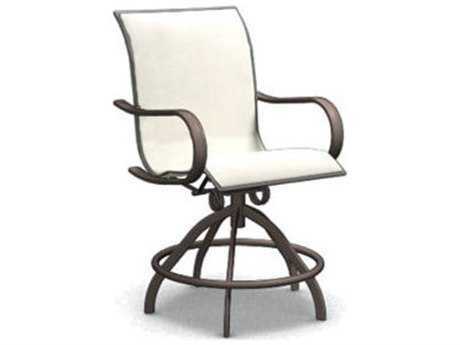 The material is also extremely resistant to rust, corrosion, and changes in temperature. 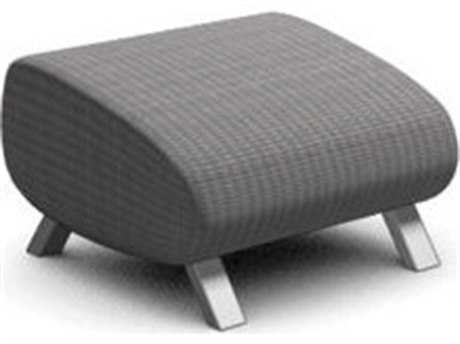 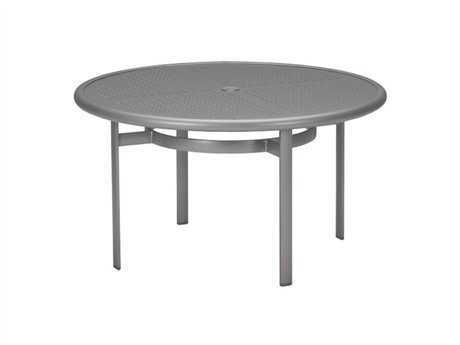 Aluminum furniture can easily withstand the elements. 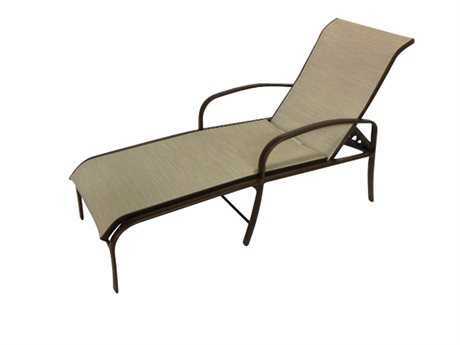 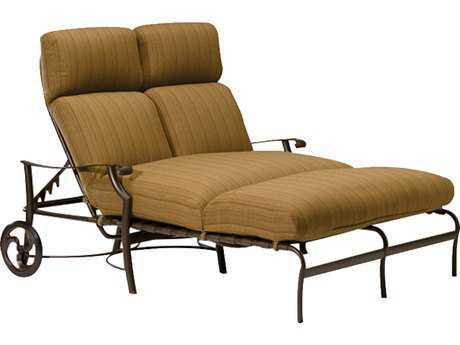 The way aluminum patio furniture is made contributes to its durability and functionality. 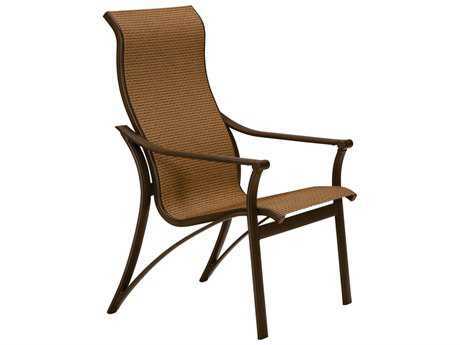 This style of patio furniture sets first go through a process called extrusion, which hollows out the material. 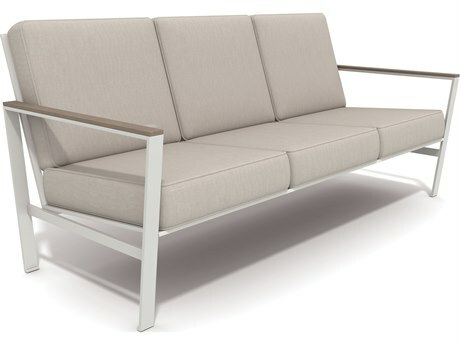 In many of our sets, the aluminum is then reinforced with internal ribs to make it stronger. 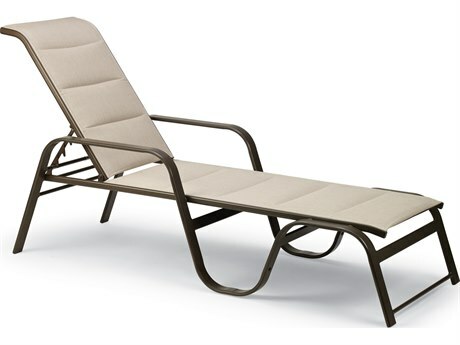 The tubing is then cut and bent to form the furniture frame, which is then welded together by skilled craftsmen. 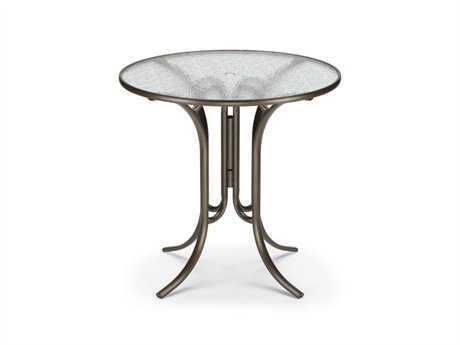 Brands like Winston Furniture use a heliarc welding process to make their aluminum pieces, which ensures the strongest welds possible for aluminum joints. 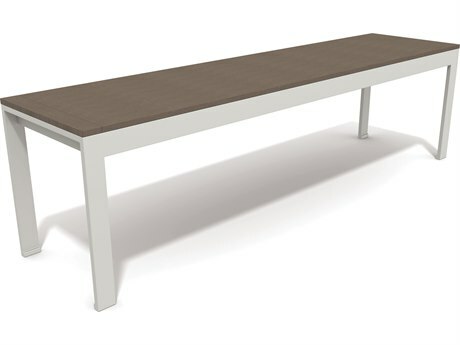 After assembly, most frames are then coated with a powdered finish. 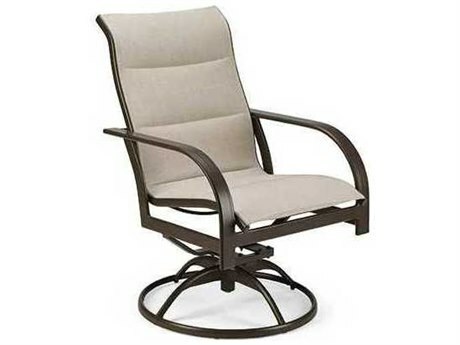 Powder-coating is a technique used to create a hard and durable finish that is tougher than conventional paint. 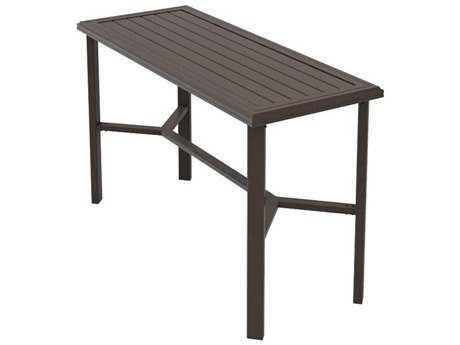 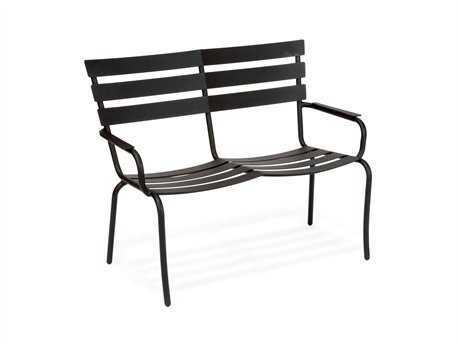 Powder-coated aluminum outdoor furniture is easy to clean and can withstand harsh weather conditions. 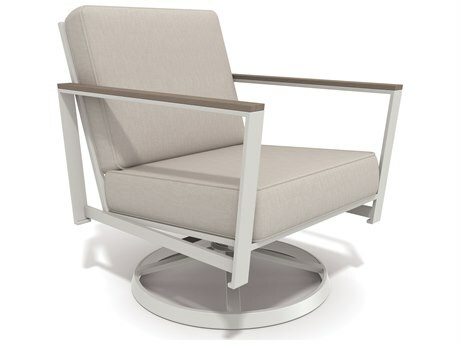 The majority of our aluminum furniture is powder-coated and comes in a variety of different finishes for a customizable feel. 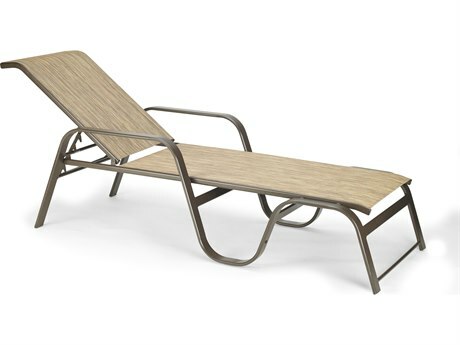 Our aluminum outdoor pieces come in a variety of different outdoor styles. 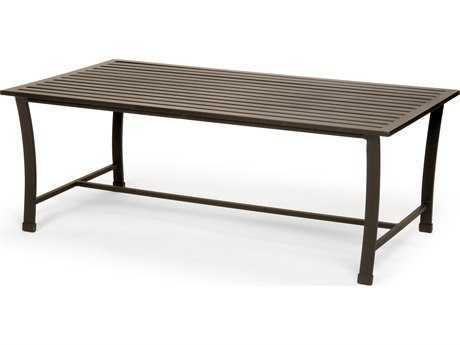 If you’re looking for an entire aluminum patio dining set, we carry dining sets and we also carry aluminum lounge sets. 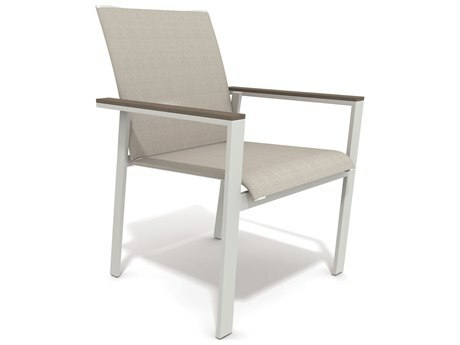 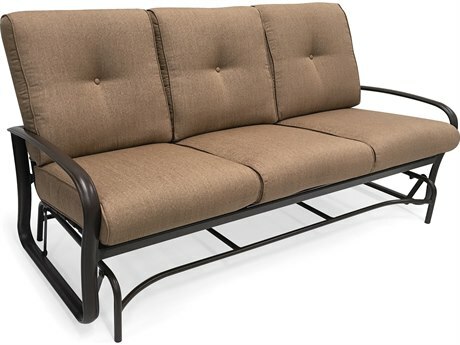 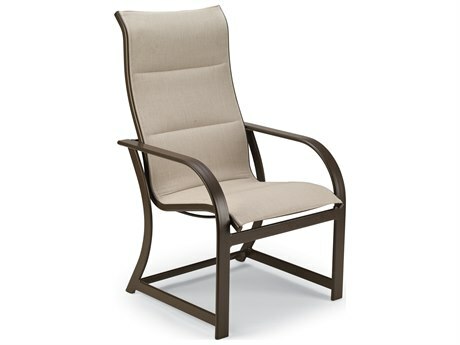 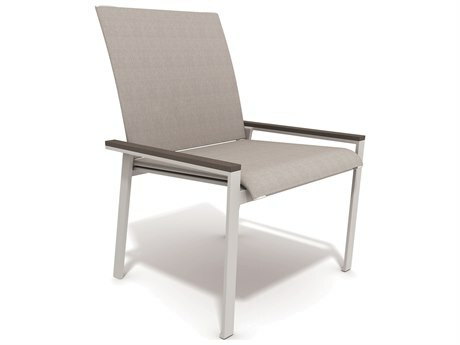 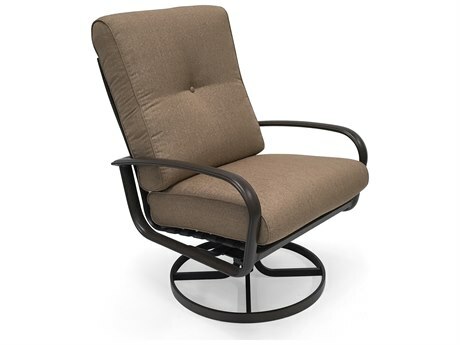 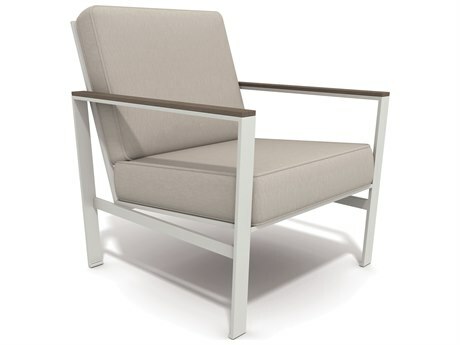 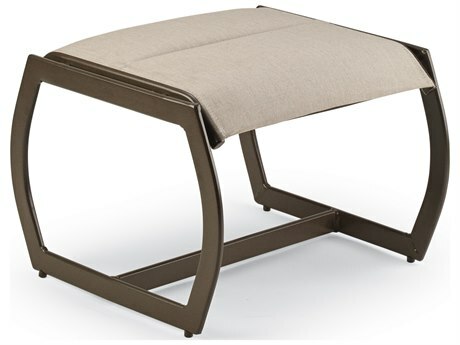 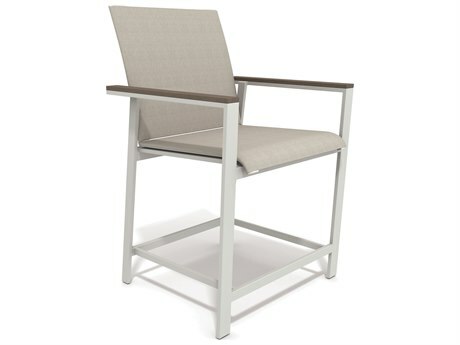 For single seating options, we carry aluminum outdoor chairs, chaise lounges, dining chairs, bar stools, counter stools, loveseats, benches, lounge beds, sofas, and ottomans. 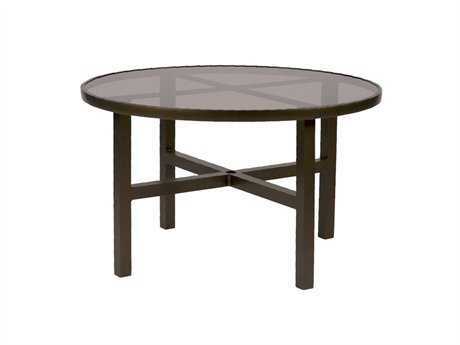 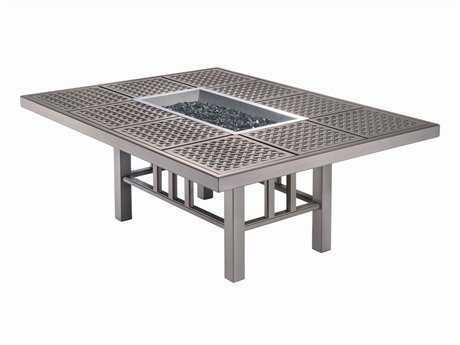 If you’re looking for an aluminum patio table or outdoor table, we carry bar tables, counter tables, fire pit tables, bistro tables, dining tables, chat tables, coffee tables, console tables, and end tables. 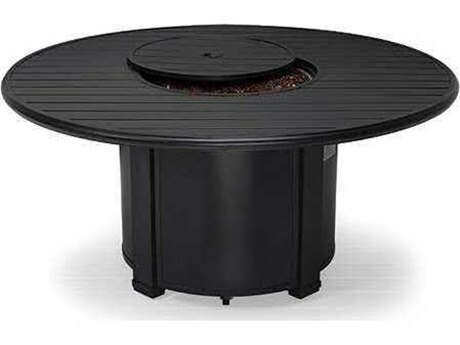 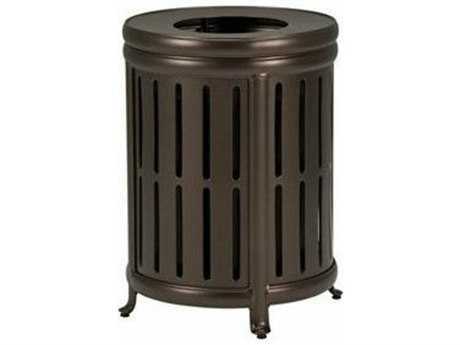 For your patio accessory needs, we also carry aluminum serving carts and waste receptacles. 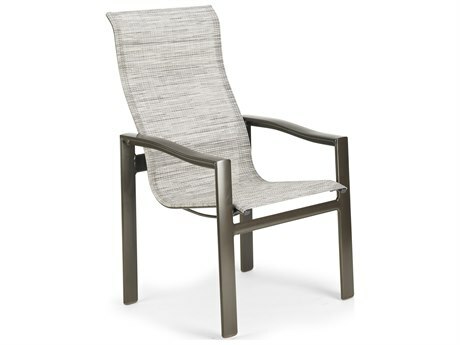 When aluminum is exposed to air, it develops a microscopic layer of oxide on its exterior, which protects the metal from corrosion and rusting. 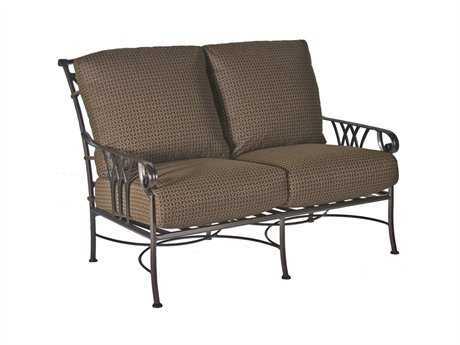 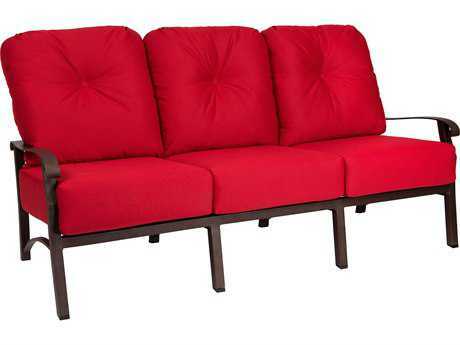 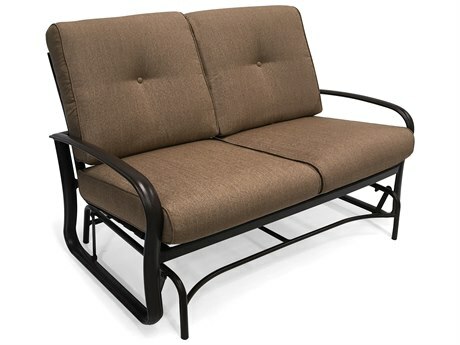 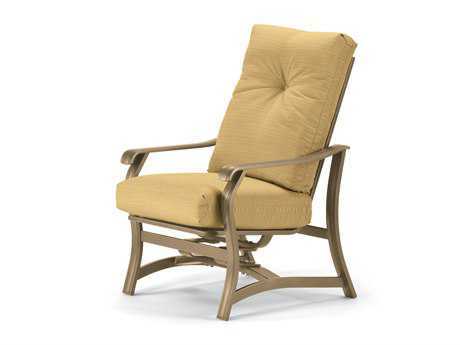 Since this style of patio furniture will not rust, it’s virtually carefree. 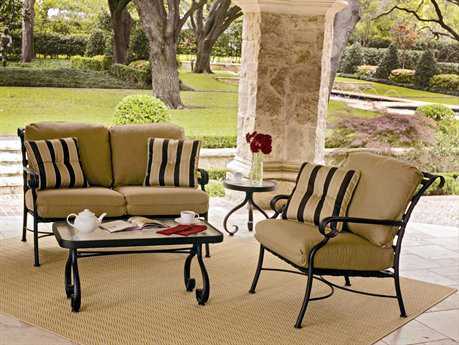 These pieces can stay outdoors year-round without being covered. 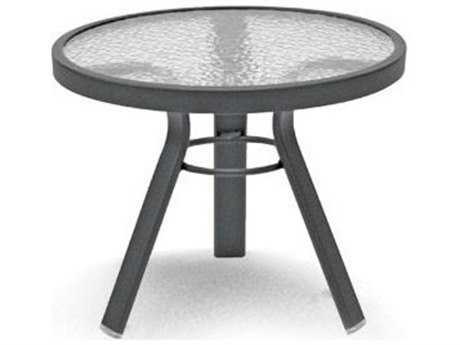 Aluminum furniture can weather any storm and is especially ideal for rainy or snowy climates. 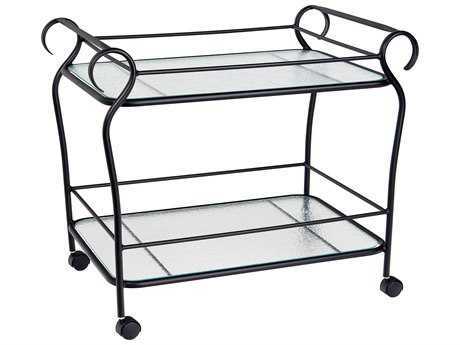 Another benefit of this style of furniture is that it is easy to store. 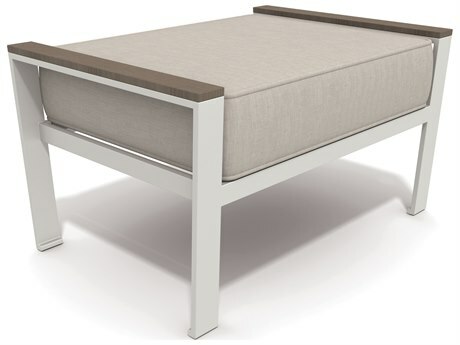 Most of our aluminum sets are stackable, allowing you to properly store and protect your investment when you aren’t using it. 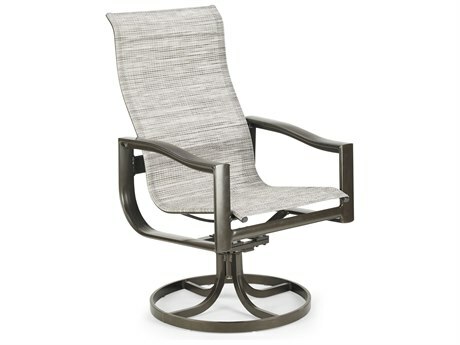 The third benefit of aluminum patio furniture is its lightweight material. 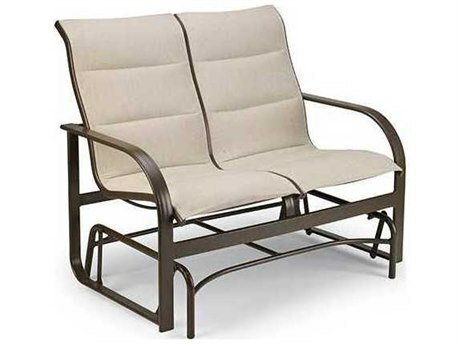 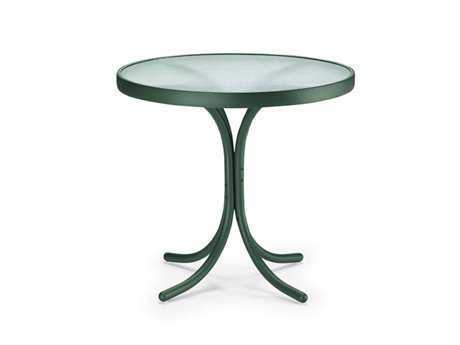 Aluminum outdoor furniture has a lot of flexibility because it can be easily rearranged. 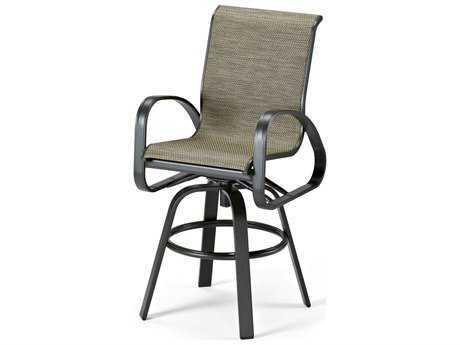 This material is especially great for dining chairs or bar stools that need to be moved in and out frequently. 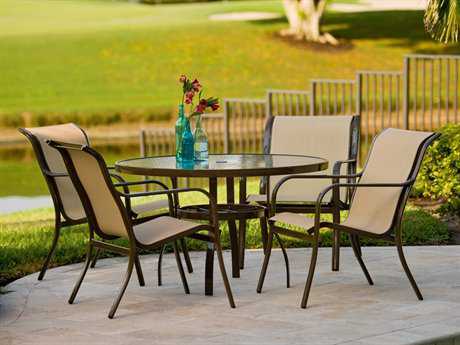 To learn more about aluminum furniture, as well as other materials, and care tips, read PatioLiving’s Outdoor Materials Buying Guide.